Mumbai: Salman Khan and Katrina Kaif's upcoming film 'Bharat' is one of the highly anticipated films of this year. Makers of Salman's film recently dropped another behind-the-scenes picture of superstar from the sets of the film. Co-producer Atul Agnihotri recently shared another behind-the-scenes picture of Khan. He took to his Instagram account to share a picture featuring the 'Dabangg' actor, who can be seen sitting on a chair with his back to the camera and seems to be talking on phone. It appears to be one busy day from the film sets. "#Bharat #Day90@beingsalmankhan @bharat_thefilm," he captioned the post. The makers of 'Bharat' recently unveiled the first teaser of the film. 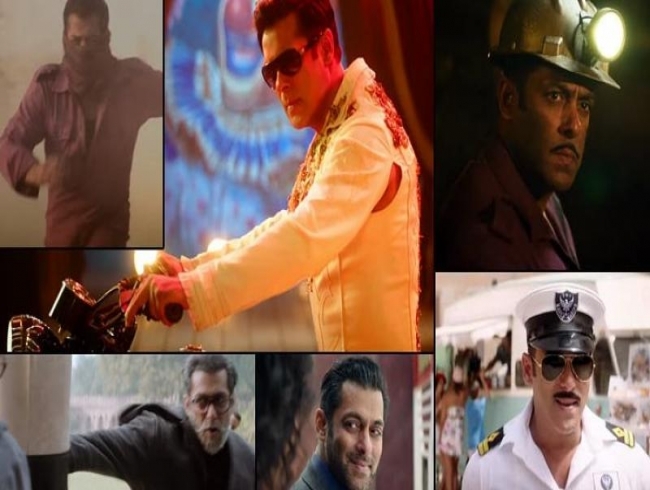 The one-minute and twenty-six-second teaser showed the 'Dabangg' actor in different avatars, narrating the story of his character's life. Interestingly, even though the teaser introduced different shades of Salmans' characters, it did not reveal his lead pair Katrina Kaif at all. The upcoming film also starring Jackie Shroff and Sonali Kulkarni is a remake of the 2014 South Korean blockbuster 'Ode to My Father'. According to reports, the 'Bajrangi Bhaijaan' actor will be seen sporting five different looks in the film spanning 60 years, including a crucial part which will showcase the actor in his late 20s, looking much leaner and younger.